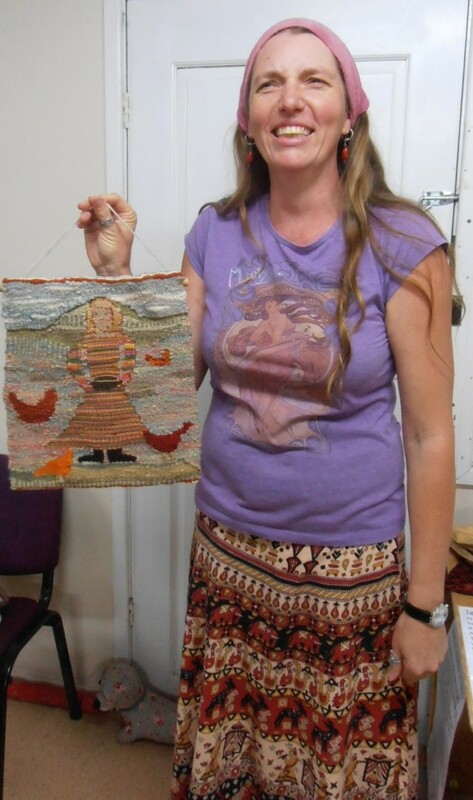 Rachel has been getting into some tapestry weaving lately, and this is her most recent effort. It is a picture of Rachel surrounded by her chooks. A beautiful tapestry.